As some of you Drake fans know he is on tour “Summer 16”. Detroit was on the list for August 17, 2016. 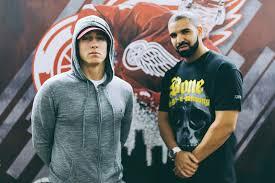 With all the talks of a possible beef that was merely made up, Eminem and Drake graced the stage together. 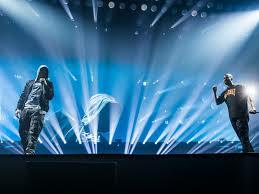 Burying all talks of drama between the two Drake introduce Em as “Greatest of all time”. Die hard Detroit fans knows the history inside of Joe Luis Arena (photo above) and Drake wants to go down in history with it saying “its one of the last concerts in this building, lets make it as special as we can”.